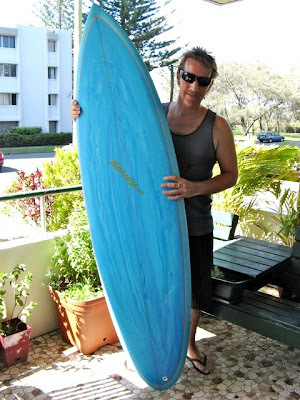 Michael worked for me at the Miami Surf Shop so it was a pleasure to shape him a supa special. It must have been blue week. 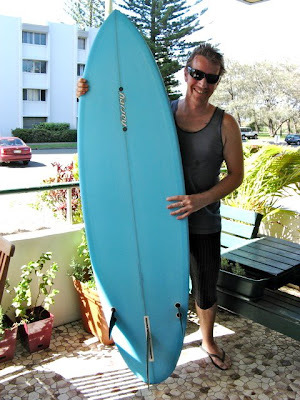 This is a fun board, thicker and wider with plenty of buoyancy in the rails to make surfing enjoyable again. Fin box combinations allow him to surf it as a single or any number of three fin variations. If you’re not havin’ fun you’re missing the point.